After we bid farewell to the John Jay Bookstore in 2015, school spirit went mobile! 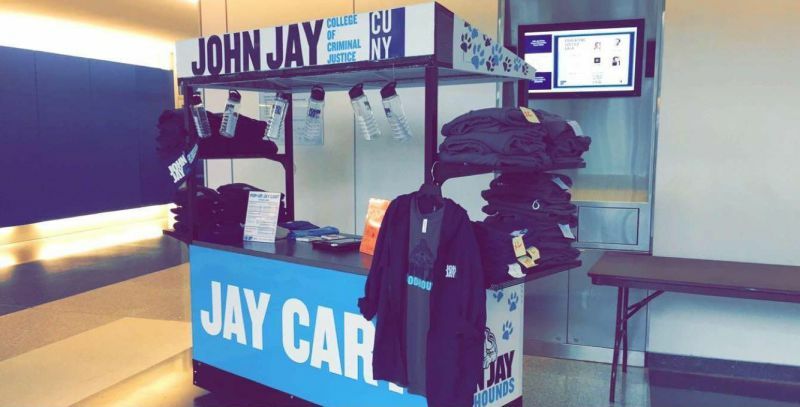 The Jay Cart in Enrollment Management & Student Affairs' pop-up store for all of your John Jay merch desires: shirts, hoodies, water bottles, and other goodies are available for purchase throughout the year during Orientation, Graduate Salute, sporting events, Family Weekend, and more. View the 2018-2019 schedule below! Please note that all pop-up sales will take place in the Atrium.